During the roaring 20s, the San Bernardino Mountains were a playground for the rich and famous. When prohibition hit in 1920, the lush forests were an ideal hiding place for a number of speakeasies. 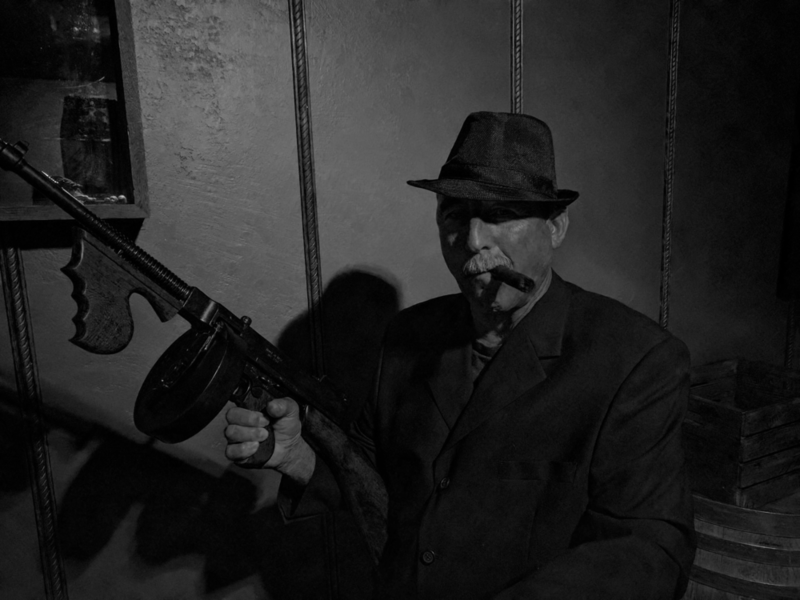 The famous gangster Mugsy Malone, and his gang ran such a speakeasy in the quaint little town of Crestline, California. Mugsy was always trying to stay one step ahead of the G Men, always hot on his trail. He came up with a plan and hid his establishment among the offices of the local doctors and dentists, thinking the coppers would never find him there. His place was raided numerous times, but Mugsy was never caught. Was it just luck, or had Mugsy really outsmarted the coppers? Legend has it that he built a secret door and was able to slip out just in the nick of time. You are invited to his speakeasy for Mugsy's Great Escape. You will have 60 minutes to figure out the clues to find out how Mugsy escaped. Can you do it? Roaring 20s dress encouraged but certainly not required. 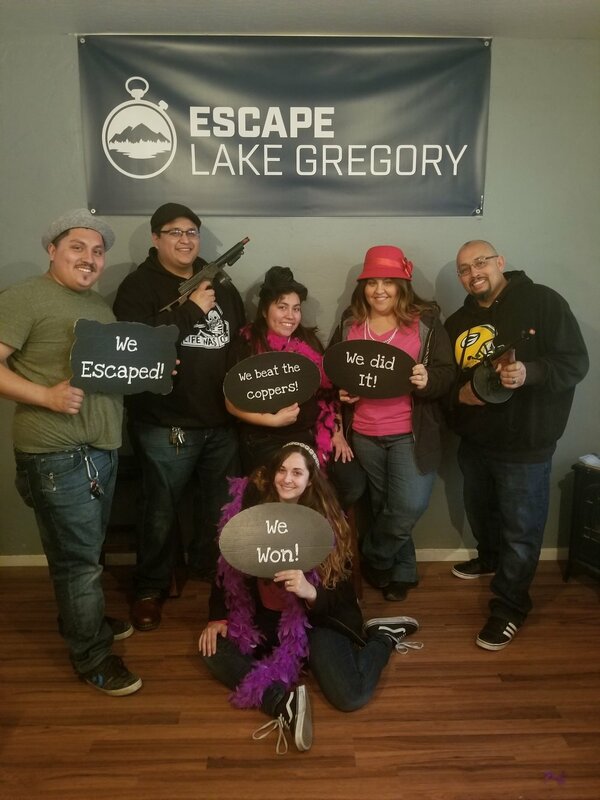 Escape Lake Gregory is the San Bernardino Mountains premier Escape Room experience. 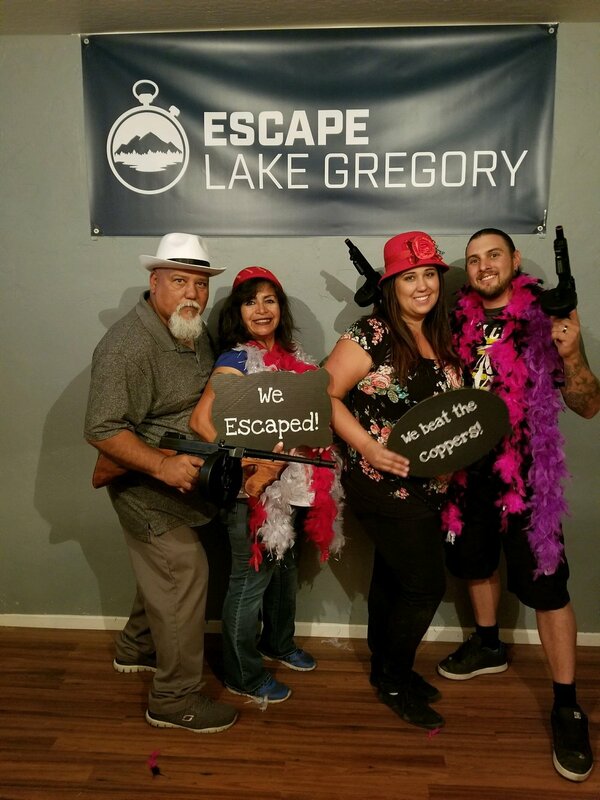 Located just a short drive from the LA area, Escape Lake Gregory makes a great focal point for a weekend getaway to the beautiful mountains and lake. 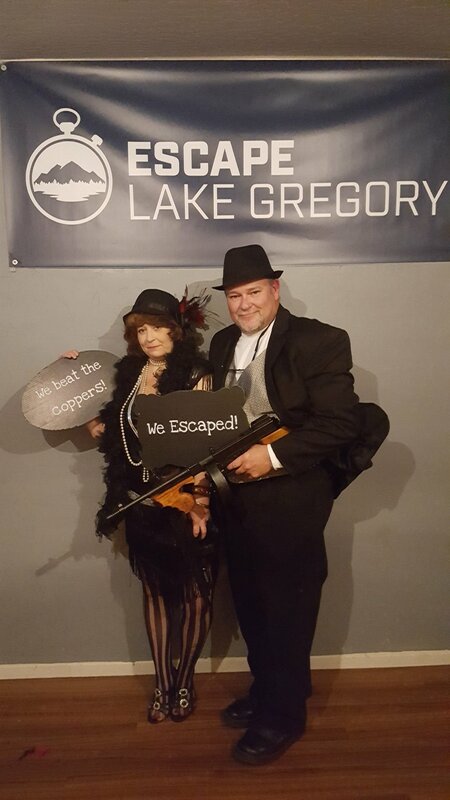 Escape Lake Gregory was founded and launched by husband and wife duo Joe Caliva and Kathi Luster Caliva in June 2017. 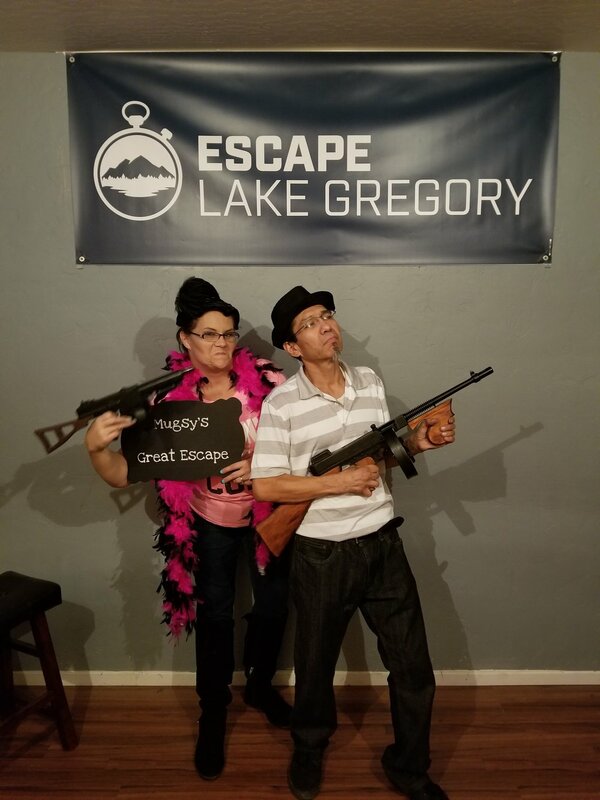 Escape Lake Gregory currently features Mugsy's Great Escape, a story of a roaring 20's gangster that just can't be caught. We will soon begin work on our second room in Crestline. Great time!! We went with our family while visiting Lake Gregory (we live in LA). It was a tough room but creative. 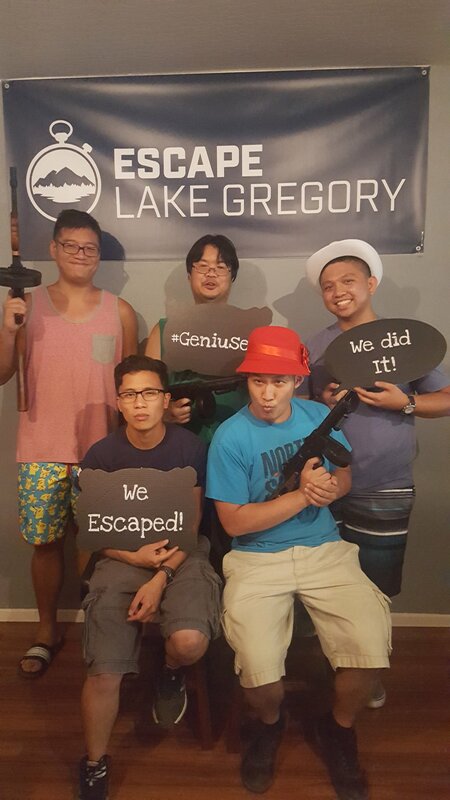 We barely escaped with 1 min 25 seconds left! We did get a couple clues and they were very good about giving just what little we needed when we were stuck. 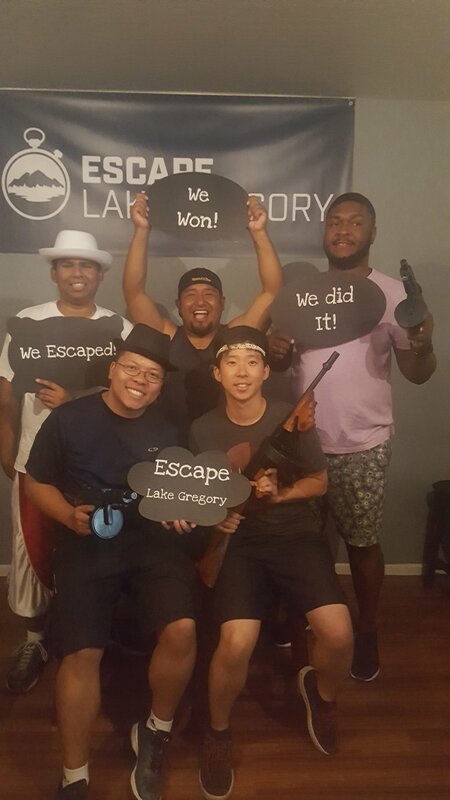 We would highly recommend to anyone into escape rooms. This one is fun!! Great friendly customer service! Was just there and loved it. 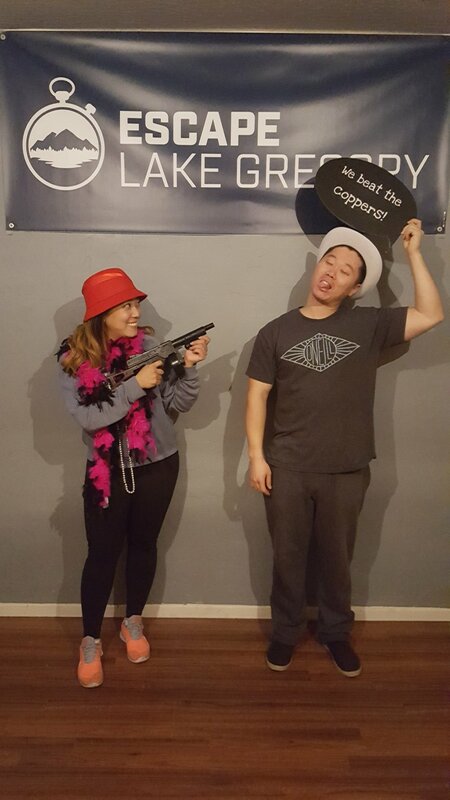 It was my first escape room and now I'm hooked. The staff is super friendly and helpful. I highly recommend this place for new and experienced people. 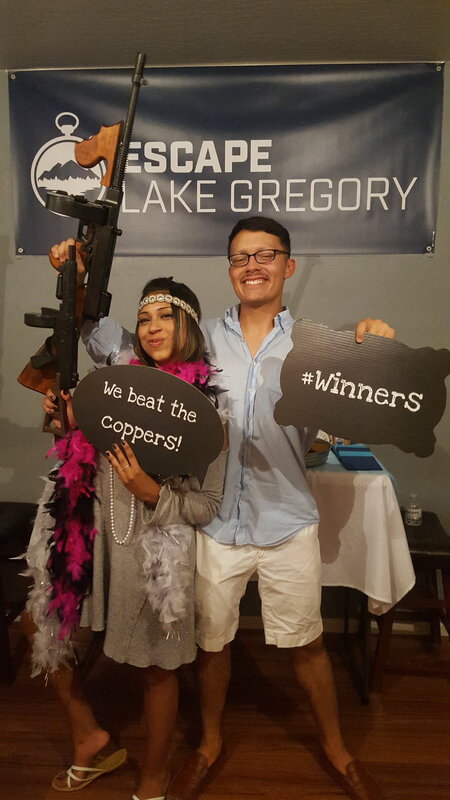 This was my and boyfriends first escape room experience and we loved it :) The snitch was very helpful and we will be back for another experience soon! 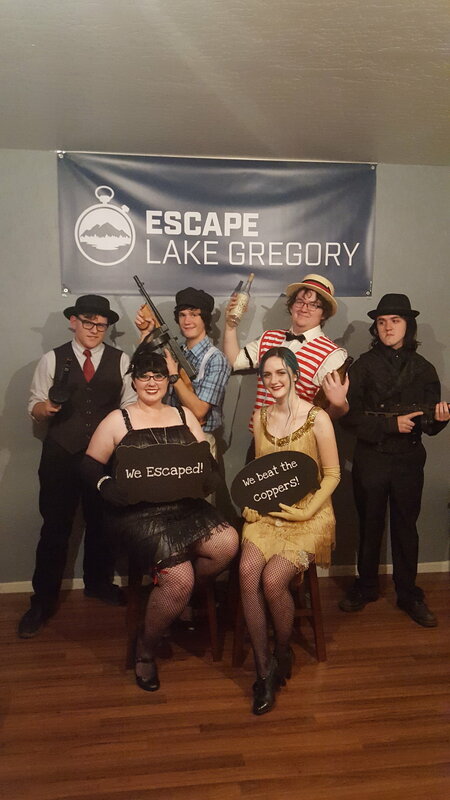 An absolutely fantastic escape room! Great clues along with a great piece of history brought to life while enjoying a day in the mountains. I highly recommend this escape room to everyone!!! 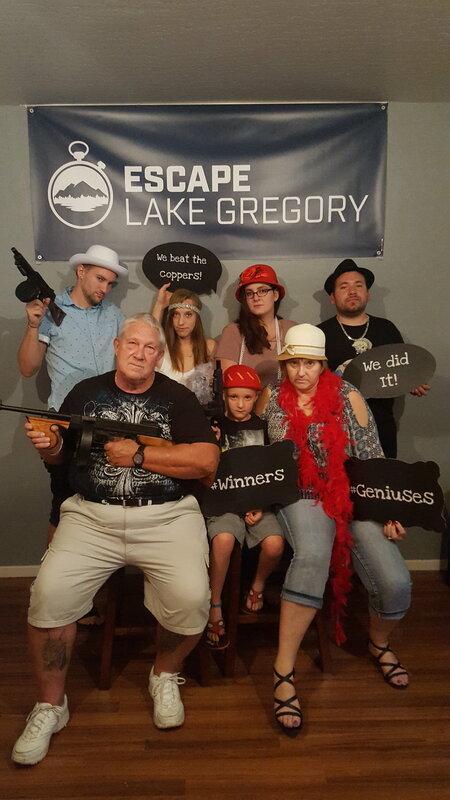 Our family had a fun and exciting time at Escape Lake Gregory. 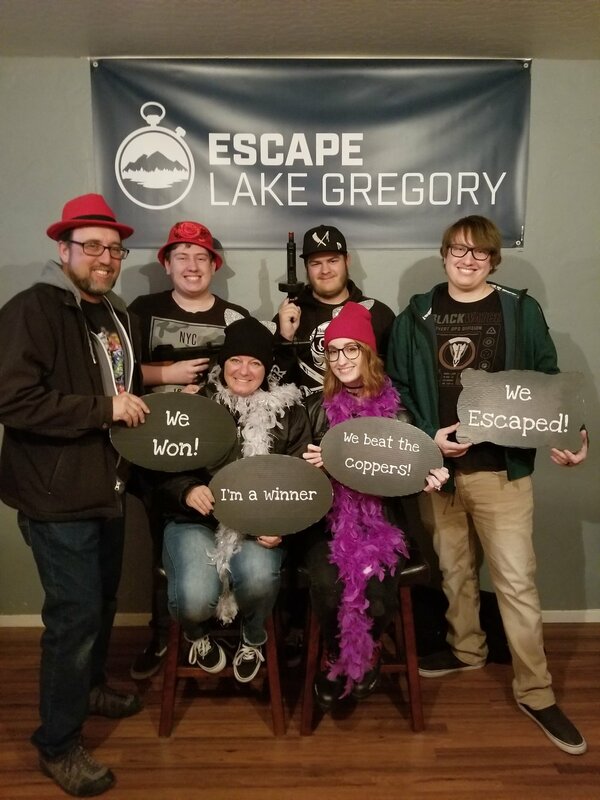 The experience at Escape Lake Gregory afforded us teamwork, laughter, thoughtful communication, and was a memorable experience we will be talking about for days to come. 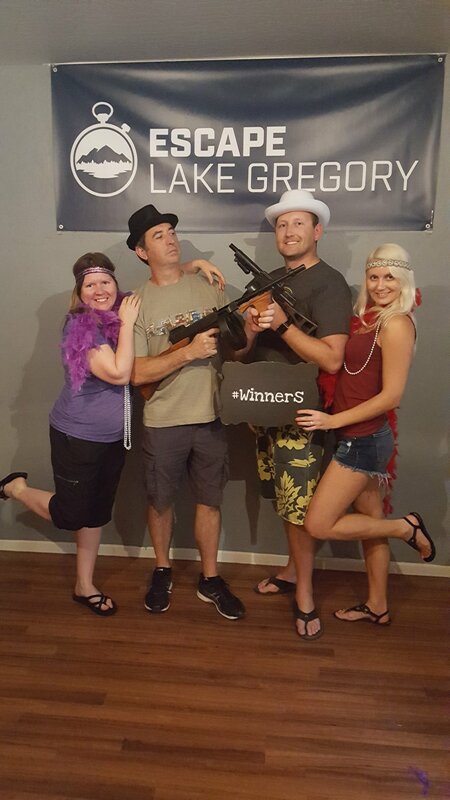 We highly recommend Escape Lake Gregory as an exciting adventure and memorable experience. 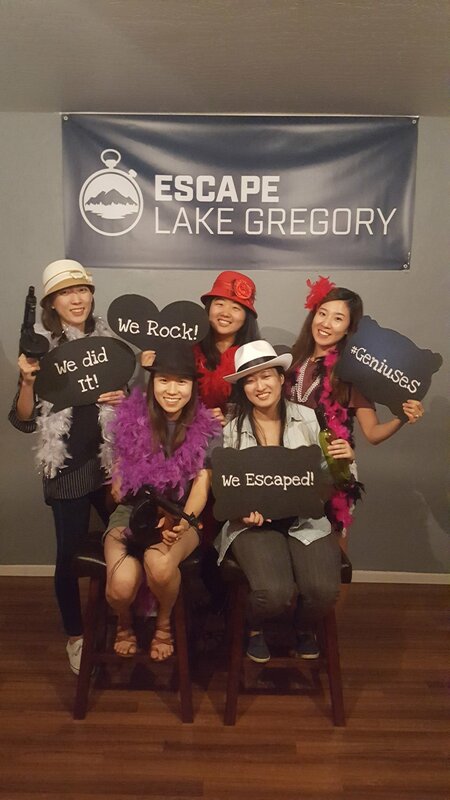 Escape Lake Gregory in Crestline was so cute and challenging. 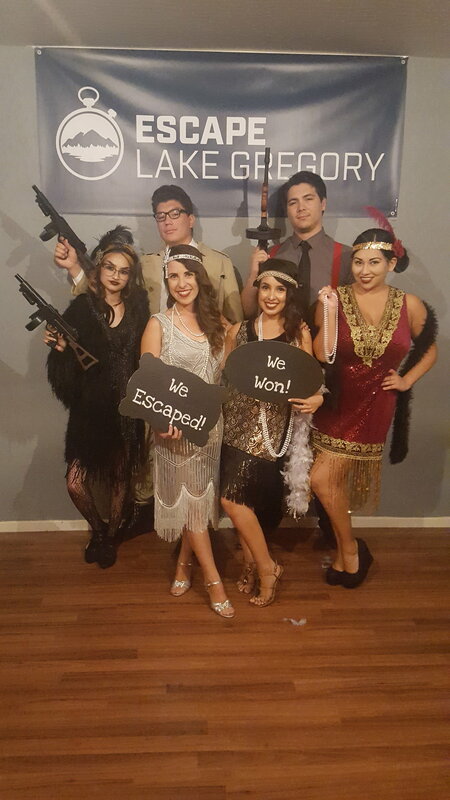 The atmosphere was great, I loved the props that we got to take a picture with after we escaped! We really had to pay attention to every little detail to get out, I would 10/10 recommend this place for an adventure with family or friends! 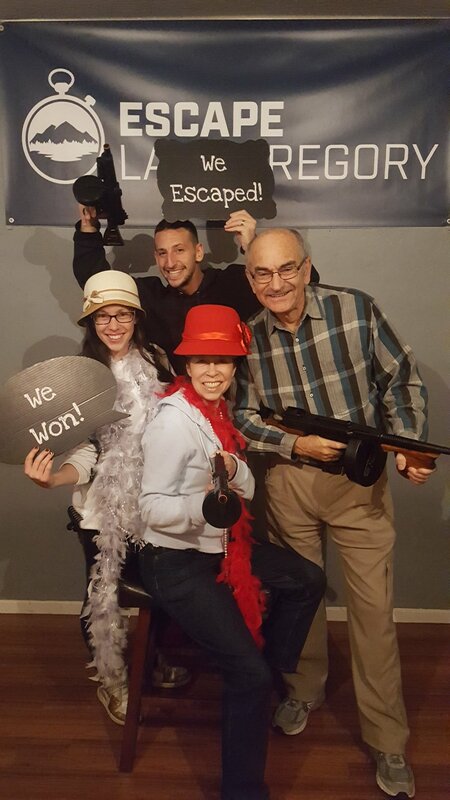 Mugsy's Great Escape in Crestline was awesome! 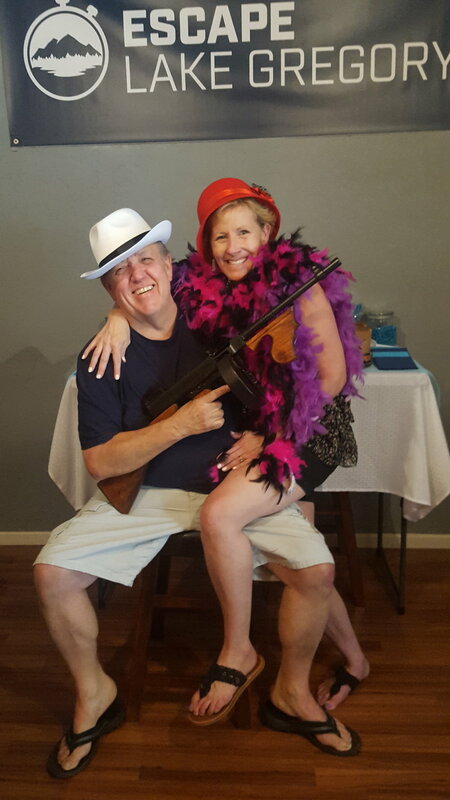 My family and I loved the roaring 20s theme and it was a great experience for our second escape room. We also got to spend some time seeing the beautiful surrounding area and hung out at Lake Gregory. Would certainly recommend people to come check it out! 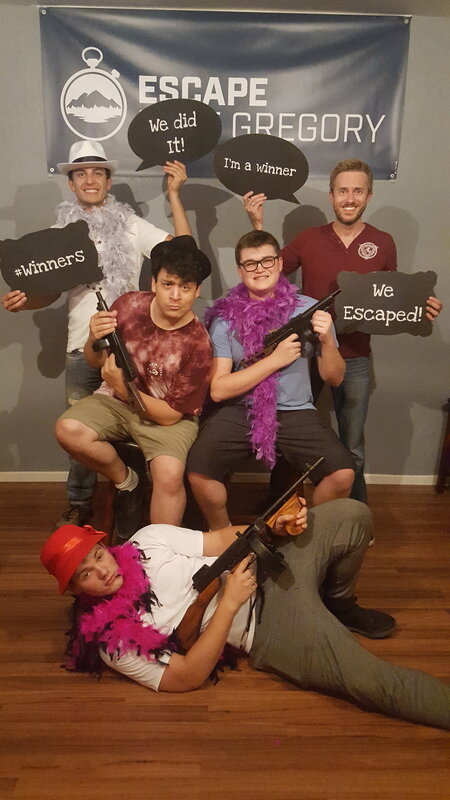 An escape room is a real-life mental and physical adventure game starring you and your friends. You are put into a scenario and must use elements of the room to solve puzzles, find clues and escape from the room in a limited amount of time. The game has a maximum duration of 60 minutes, but if you're fast, you may escape in less time. You should arrive about 15 minutes early and plan to stay a few minutes after you've completed the game. Will I be in the room with people I don't know? Our rooms accommodate up to 6 people. If you do not have a group of 6, the remaining slots will be sold to other individuals. If you would like a private room for just your group, you must purchase all 6 tickets, even if you do not have 6 players..
Our rooms are built for up to 6 players. We recommend a minimum of three players to have a chance of completing the escape game. Can I rent the whole room? You may rent the entire room. The room's capacity is 6, so you must purchase all 6 tickets, even if you don't have 6 players. Yes! You can buy gift vouchers in the amount of $25, $50, $100, and $150 by clicking the "Purchase Gift Voucher" button under the "Booking & Availability" header. We're located at 580 Forest Shade Road #10 in Crestline, California. We are part of the Lake Gregory Professional Complex. Can we take photos or video while playing? Photographs and video recordings are not allowed in our rooms. You are more than welcome to take photos before and after the game. What if we get stumped? If requested, you can be provided hints by a staff member. Our games are designed for adults and children 14 and up. The clues may be too difficult for younger children, but we will leave the ultimate decision to you. We will not turn anyone away. It is not at all scary. Can I play if I'm claustrophobic? While the rooms are closed, they are not locked and there is a staff member monitoring each room at all times. If you start to feel claustrophobic you will be let out of the room. The door is not locked and a staff member will be monitoring your room at all times. If you need to leave before the full 60 minutes elapses, that can be accommodated. Currently first place on our leader board!!! Currently first place on our leader board!